Today I wanted to share with you a couple of DIY gift ideas with Sugru. 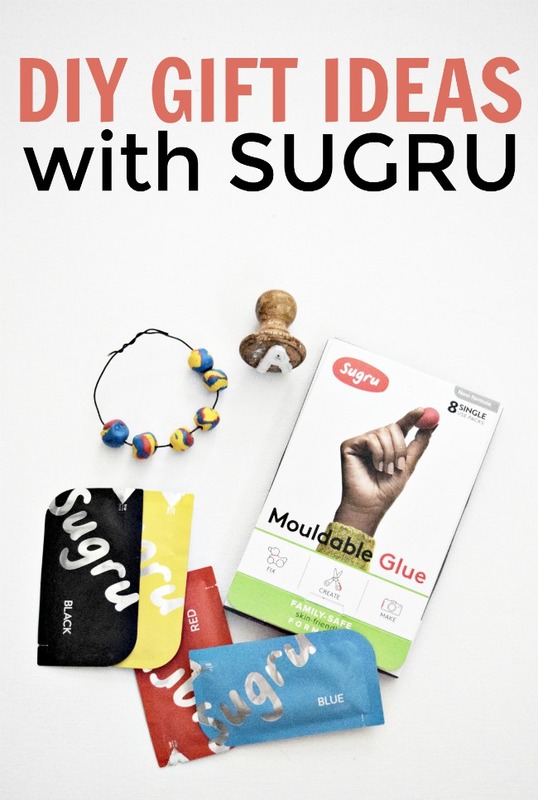 This post is created in partnership with Sugru. All opinions are my own. 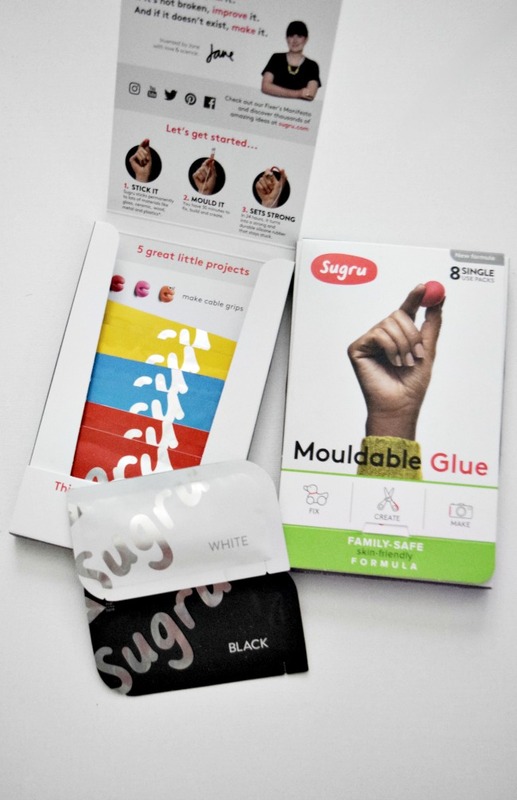 Have you heard of Sugru before? If not then let me tell you a little about their company. Sugru is the world’s first moldable glue that sticks to just about anything and turns into a strong, flexible rubber in 24 hours. It can stick to all sorts of items like aluminum, ceramic, wood, glass and more. It was invented to help people create, repair and improve their stuff. They also just introduced this Family-Safe, Skin-Friendly Formula that I am featuring in this post. So if you aren’t making these DIY ideas for your child as a gift, get them involved and they can make their own, for themselves or their best buds. So I thought this would be the perfect product to create some awesome DIY gift ideas for Christmas, some that I know my tween daughter will love. 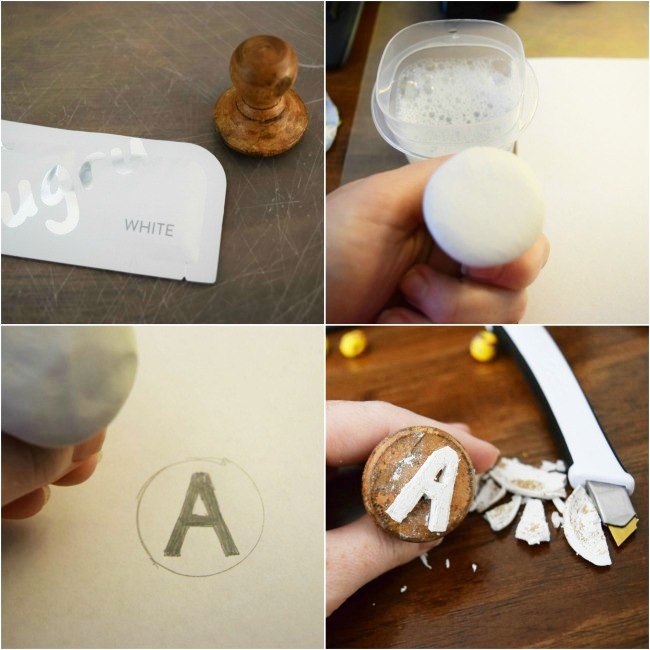 DIY stamps are so much fun to make and really practical when wanting to put your own mark on things. You can get super creative and make all sorts of simple or elaborate designs. My child loves to personalize her items so I went with something simple, her initial. The first step is to gather your items. The color of Sugru used doesn’t really matter all that much but I find that using the white makes it the easiest to see your design when creating it. Roll the Sugru mouldable glue into a ball and push evenly around the base of your wooden knob. Using a little soapy water, wipe it over your glue and smash it down on a flat service. This will make sure your stamp stays nice and smooth. Which is important when you are actually using the stamp. 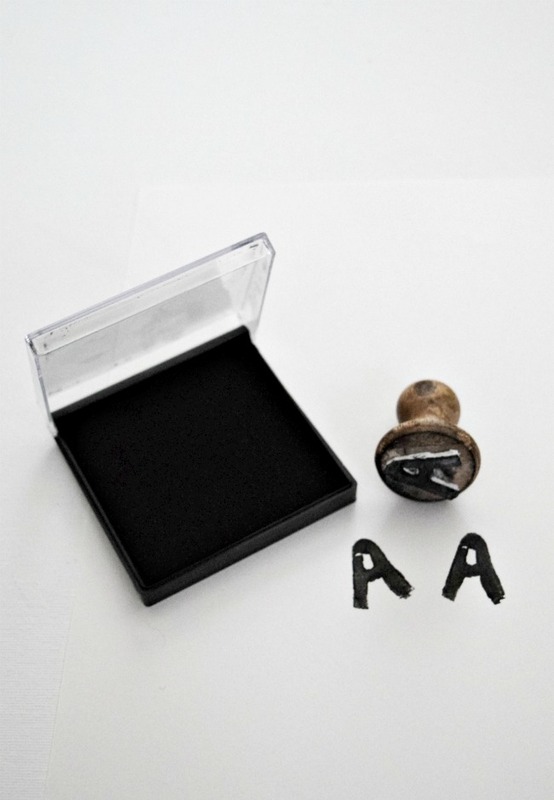 The next step is allowing your stamp to dry for 24 hours. Now you are ready to get your stamp on! You can use paint to stamp but I would suggest using an actual stamp pad. 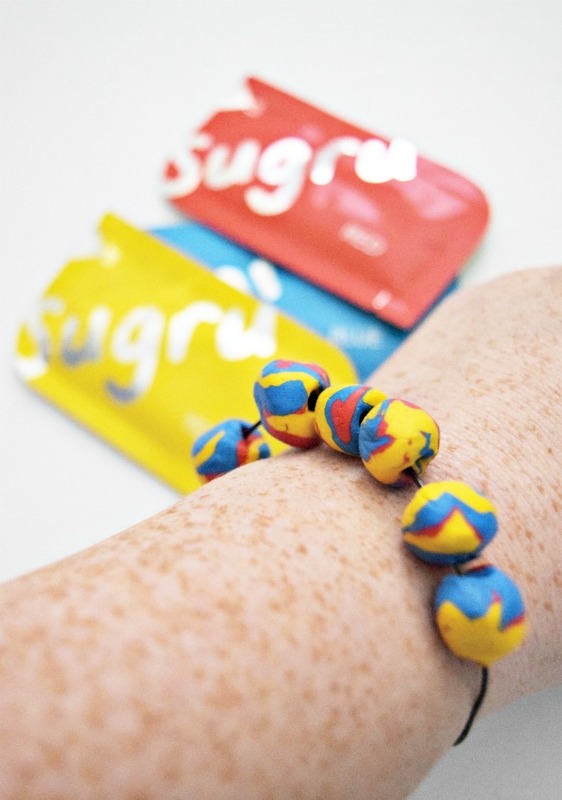 This is a fun little project to do if you ever need to use up any extra bits of Family-Safe, Skin-Friendly Sugru from a mini pack – creating your own beads. First, you will want to pick out your colors. Sugru comes in 10 different colors and can be mixed to make any shade you like. Once you decided on what colors you want, roll each into a ball. Now roll each into equal length strands. If you want to use individual colored beads then you will want to skip to step 5 but if you want to mix them together continue to step 4. This step creates the twisted marble look. To do that you will want to just twist the colors together and then double the strand and twist again. Cut the strand into equal size pieces and roll into a ball again. Gently push the bead onto a toothpick to create the hole. Allow to cure for 24 hours and then you are ready to strand the beads onto a bracelet, necklace or make earrings out of them. You could even do a keychain because if your child is like mine they love to hang keychains off their backpacks. This would also be a great idea for tween boys. 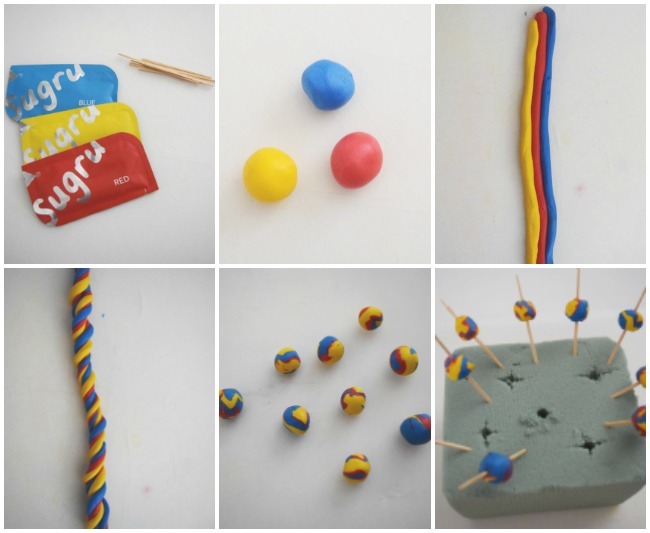 Did you enjoy these DIY Gift Ideas with Sugru? Why not try your own and get a 10% discount off your first order when you sign up to the Sugru newsletter, which includes loads of great tips on how to use the product. How to enliven your beauty routine with peppermint! The beads are so fun! They’d make super cute necklaces to gift to teachers! Very cool. I hadn’t heard of this before coming across this post. Sugru is great for all sorts of things. This is so cool! My daughters would love to make all sorts of things with Sugru. It is great for all sorts of things, like fixing broken pieces too. My kids are obsessed with things like this! They love stamping! That is so cool! I think I need some!